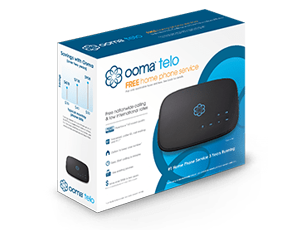 How to Call United Kingdom from the U.S.
To call the United Kingdom, you can use either your Ooma Telo-connected home phone or the Ooma Mobile app. Now dial the country code for the United Kingdom, which is 44. Next, dial the 10-digit local number. Keep the following considerations in mind when calling the United Kingdom. You will likely encounter listed numbers beginning with a “0” frequently. This 0 is a “trunk code” and is part of the United Kingdom’s national dialing format (just like how we in the U.S. sometimes use “1” when dialing a long distance number). Dial only the numbers after the 0 to ensure the call goes through properly. For international calls to the United Kingdom with either Ooma’s Basic Service or Premier Service, per-minute charges vary based on the type of number called rather than whether it is a landline or mobile phone. Ooma’s base rate for regular residential and business numbers is $0.028 per minute. Calls to any special service number starting with 70 are billed at $0.315 per minute, while calls to numbers starting with 3, 4, 5 or 6 are billed at $0.65 per minute. Calls to numbers in the 843, 844, 845, 870, 871, 872 and 873 area codes are all billed at a $0.315-per-minute rate. What is a special service number? These numbers are used by businesses and organizations in the U.K. that are looking to recoup some of the costs associated with operating call centers by splitting the fees with the caller, or to allow for one nationwide number that anyone can call at a lower rate than traditional long distance. You can think of these numbers as somewhat of a cross between 800 and 900 numbers here in the U.S. Calling the U.K. with Ooma will also save you money. Verizon charges up to $1.69 per minute to place a U.K. phone call, depending on your plan. Calls to service numbers are also not possible in many cases with Verizon and other international calling providers, as they are blocked and may also result in hidden charges you might not otherwise expect. With both the Ooma World Plan and Ooma World Plus Plan, all calls to standard numbers in the United Kingdom are unlimited. Calls to special service numbers are charged at Ooma’s standard rates, which are listed in the previous section. In order to decide which plan is best for you, it’s helpful to review both international plans and see which other countries are included.